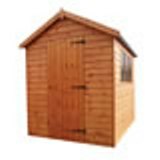 A durable apex shed ideal for use as a workshop or storage unit. 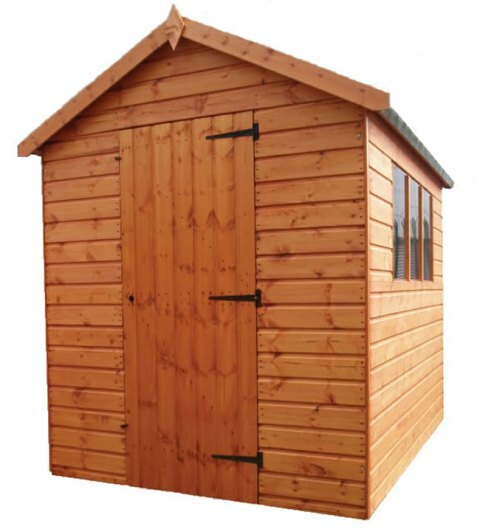 This superior shed has been manufactured from quality tongue and grooved 12mm shiplap red wood pine cladding and quality roofing felt. 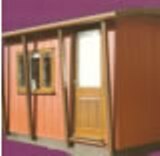 There are many excellent features included in these sheds, however there are also many options available to adapt the shed to your needs. 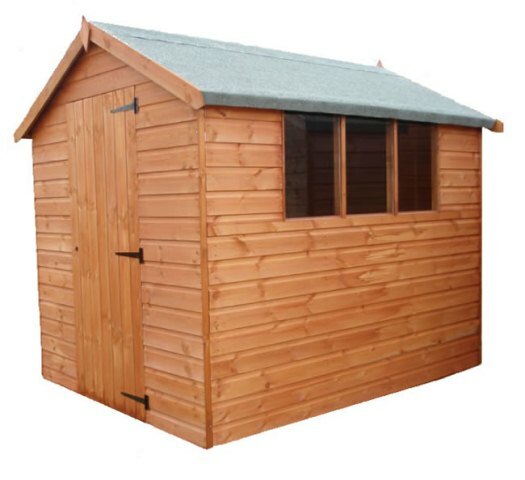 The superior shed offers increased eaves height which means there is plenty of head room. Please note that tanalisation is only available on 15mm cladding. 18mm does not have the tanalisation option. This shed is also designed to be easy to assemble with only basic tools required. No professional experience is necessary. Please note: Installation is not available within the grey zone shown on the map below. Delivery notice: Delivery is FREE to the areas highlighted in green on the map below. 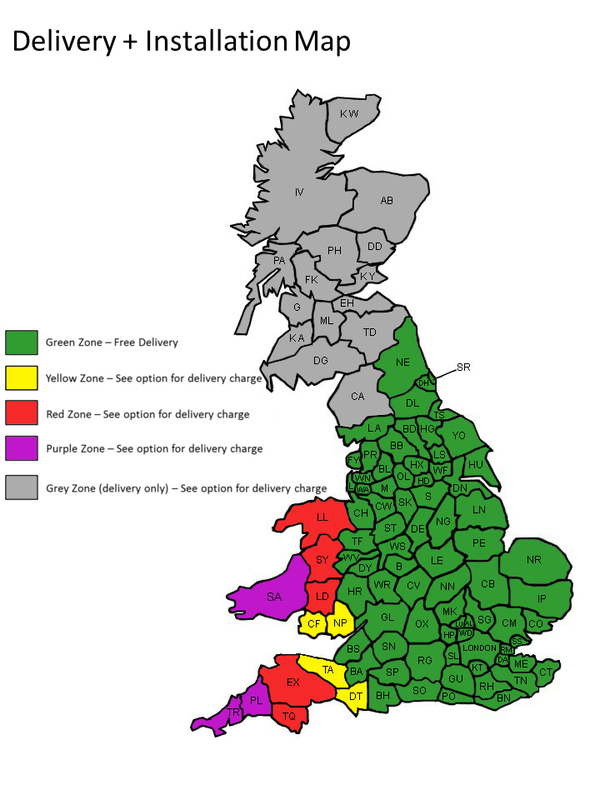 Delivery charges apply to zones highlighted in red, yellow and purple. Grey zone is delivery only. Please select your delivery zone from the drop down menu below. Delivery to offshore PO postcodes will take place once a month and will also incur an additional charge. Please enquire before ordering if this might apply to you. Henley Compact Liberty garden office 3.2x2m (10'6"x6'8") fully insulated and installed. Single door on front elevation. A natural treatment for wood, a safe way to preserve and stain your shed, summerhouse, log cabin or fence. 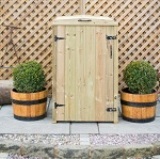 A single wheelie bin chest designed to store a 240 litre wheelie bin. Manufactured using pressure treated tongue and groove cladding. This is a traditional style world championship table. The largest within this range of pool tables. Ideal for use in a garden office. The Chatsworth summerhouse with an optional verandah. Measuring 4.27x3.05m. 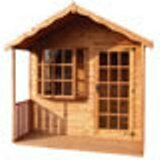 The Buckingham summerhouse 1.52 x 3.05m a rectangular garden building with many options available. 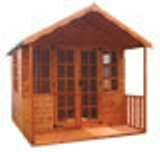 Sandringham Summerhouse 10'x10' (3.05x3.05m). Ideal for the larger garden. Featuring Georgian double doors, two side and two front windows.